Those who have been to Guaimaca and specifically to the Marie Poussepin Center, know of our mango tree in the middle of the patio. 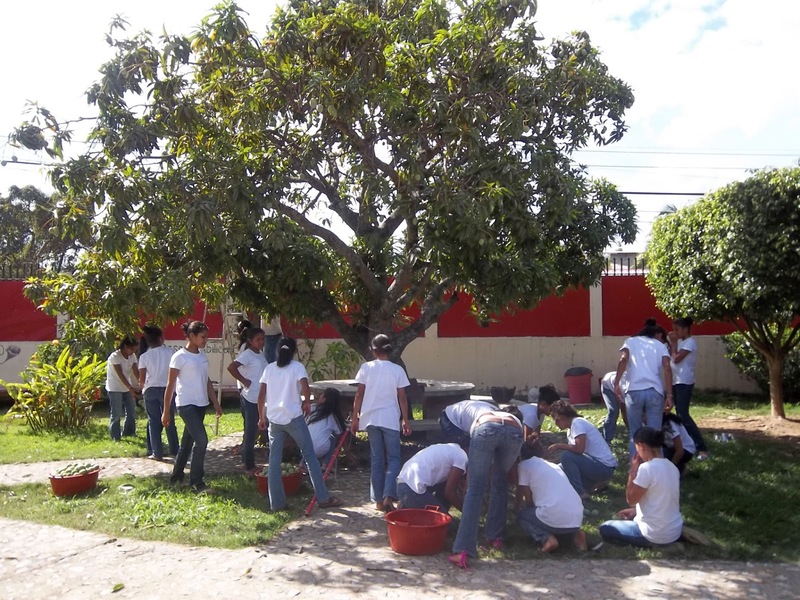 This is a very special place for our students, who love to gather around the mango during their breaks and study times. It is also a place where some parents wait for their children on Fridays or sit for a while to talk with them on Monday mornings before they go back to their villages. The first months of school, the mango tree is always a temptation because the flowers gradually turn into small mangoes, which our students love to eat….However, they know they are not to “abort” them before they are ready to eat…and ready for them means “green” (not riped) to be eaten with salt and spices. This year, our three Stonehill Volunteers spent some time on a Friday afternoon, once they students had gone home for the weekend, picking the mangoes from the tree as it can be seeing in the pictures. Needless to say they had a good time! 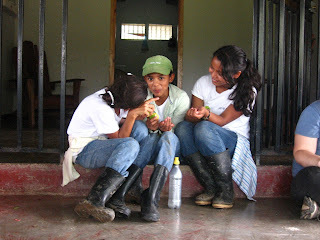 ﻿﻿ Also, our students had a good time, during the following weeks, as they enjoy the mangoes during during their break…Most of the time they have eaten them green, but also they have helped to peeled them for Digna, the cook, to prepare a delicious desert with the mangoes cooked with panela o raspadura (a dark brown sugar).